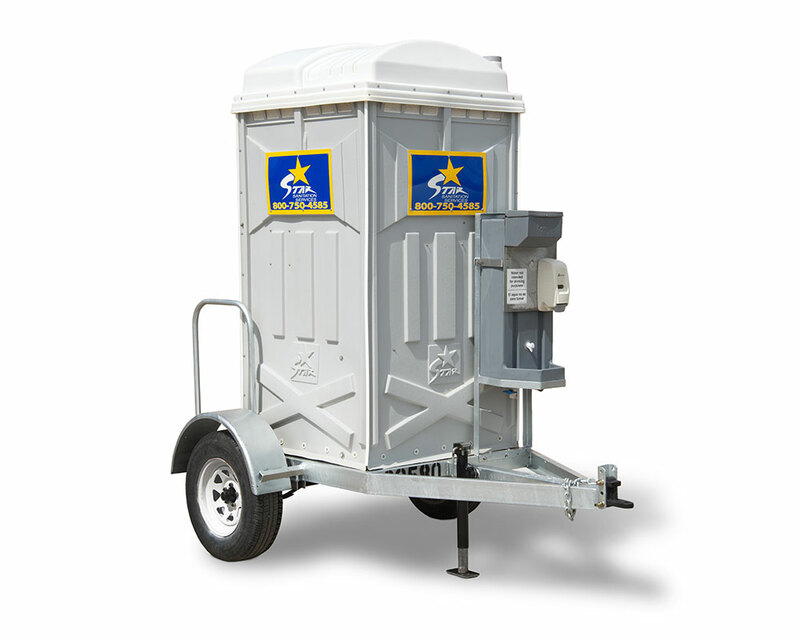 A single basic unit mounted onto a custom built trailer. 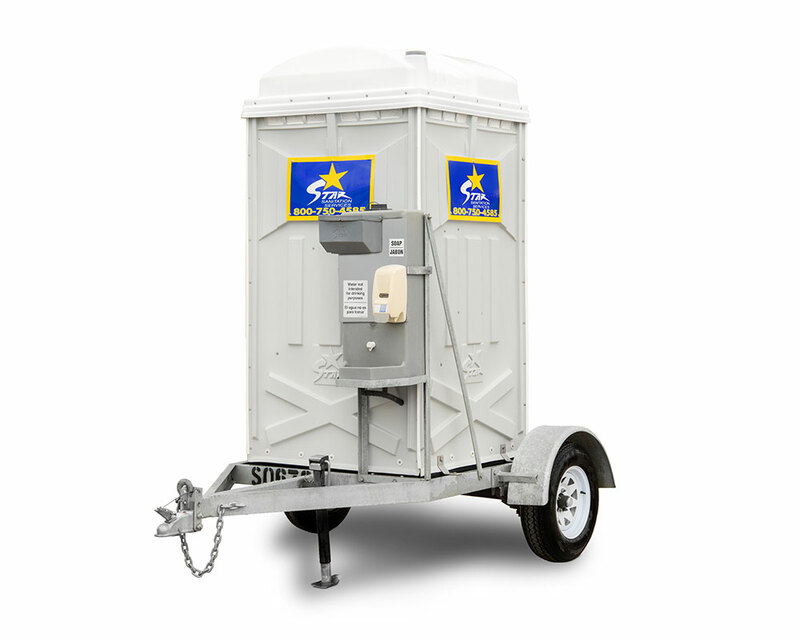 Designed for maneuverability and convenience. Equipped with exterior hand wash station with hand towels and liquid soap.